Traditionally, the Gesneriaceae have been regarded to be most closely related to the Scrophulariaceae (figwort family) and were considered to represent the tropical counterpart of that essentially temperate family. However, no subgroup of both families could be identified as particularly closely allied. With the introduction of molecular methods in plant (and Gesneriaceae) systematics, the picture changed substantially. 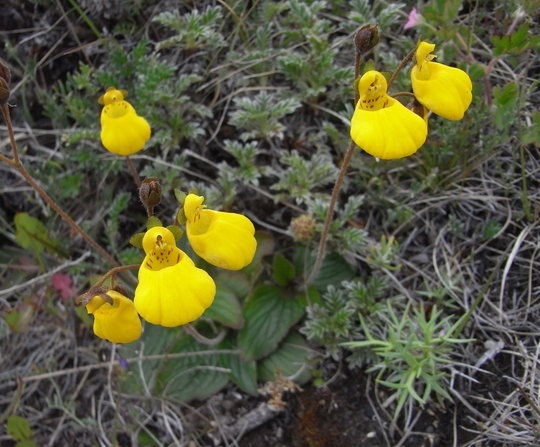 Calceolaria biflora is a member of the Calceolariaceae family, the closest relatives of the Gesneriaceae. Firstly, Scrophulariaceae were found to represent an artificial (non-monophyletic) group. The first group separated from Scrophulariaceae as a distinct family were the Calceolariaceae (Olmstead et al. 2001). Several other families, such as Plantaginaceae, Phrymaceae, Linderniaceae, Paulowniaceae, Schlegeliaceae, and Stilbaceae followed and the semi- and holoparasitic members of Scrophulariaceae were attributed to the Orobanchaceae (see Schäferhoff et al. 2010, Refulio-Rodriguez & Olmstead 2014, and literature cited therein). Again, none of these families proved closely allied to Gesneriaceae – with one exception: the Calceolariaceae. 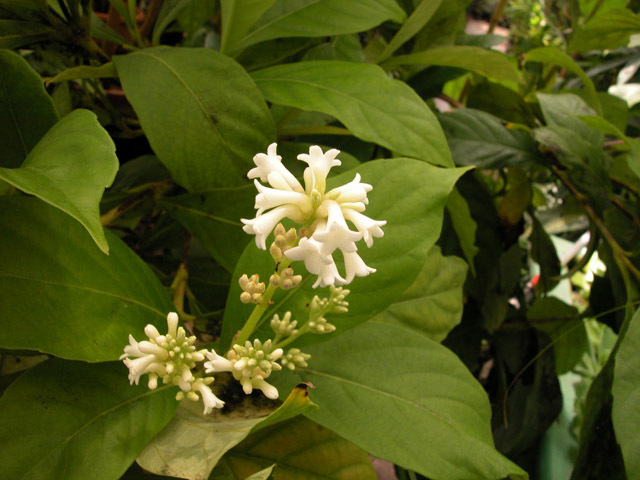 This, in association with the isolated and monospecific genus Sanango (hitherto variously attributed to Loganiaceae, Buddlejaceae, and Scrophulariaceae), proved to be the sister group of Gesneriaceae. Moreover and rather surprisingly, the position of Calceolariaceae, Sanango and Gesneriaceae was found rather at the base of the order Lamiales (“Basal Lamiales”), with only Plocospermataceae, Tetrachondraceae, Oleaceae, and Peltanthera (formerly included in Loganiaceae) diverging earlier. In contrast, the position of Scrophulariaceae and its segregate families was found at different places within the “Core Lamiales”. Sanango racemosum has been attributed to several families, but the current consensus is that it belongs in the Gesneriaceae. Sanango was attributed already by Wiehler (1994) and Smith et al. (1997) to Gesneriaceae, specifically to tribe Gesnerieae. The placement in Gesnerieae is clearly erroneous and was not accepted by other researchers. Nonetheless, the sister position to Gesneriaceae [Sanango + (Gesneriopideae + Didymocarpoideae)] as a whole and a couple of morphological characters suggest inclusion in the Gesneriaceae. Therefore, Weber et al. (2013) incorporated Sanango in the Gesneriaceae, recognizing it at the rank of a third, monogeneric and monospecific subfamily. There has been some discussion to also include Calceolariaceae (and even Peltanthera) in the Gesneriaceae, but there are good reasons to keep them separate. At any rate, the Calceolaria family is clearly the group next related to Gesneriaceae.